Blevio is a a commune of seven villages, which start by Lake Como and stretch northeast, straight up the hilly slopes from the lake. The highest village is close to 1,140 metres above the level of the lake, so it’s a pretty steep part of the countryside. The best places to stay in Blevio are undoubtedly those close to Lake Como, but if you’re looking for a slightly unusual Lake Como experience then you might prefer to be on the slopes overlooking the lake. Here you’ll find some of the most postcard perfect views imaginable, as well as peace and a traditional, rural feeling pace of life. 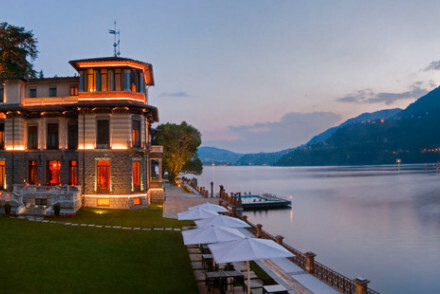 Lake Como is one of the big reasons to come to Blevio. Relax by the lake or explore its beautiful waters by boat. Blevio has a number of beautiful churches to visit including Chiesa Parrocchiale Di Blevio and Chiesa Dei Ss. Gordiano Ed Epimaco. Our selection of the best places to stay in Blevio make of use of the town's stunning positioning on Lake Como. If you're looking for ultimate luxury and relaxation in a truly glorious setting, the Casta Diva Resort and Spa is perfect. Naturally it has five stars and its two restaurants are excellent. It also has a wonderful floating swimming pool and a subterranean spa hewn into the rock of the shoreline. The closest airport to Blevio is Milan (23 miles). The best time to visit Blevio is from June to September, when the temperature sits comfortably in the twenties. Still not sure which is the best place to stay in Blevio for you? Browse through our list of all the best places to stay in Blevio.